One of the largest and most detailed maps available for the North Star State. Rich shaded relief makes Alaska's incredibly diverse terrain easy to visualize and remarkably beautiful.The map includes hundreds of named places including primary and secondary towns, political boundaries, infrastructure, hydrography, national parks, state parks, wilderness areas, major peaks, military reservations, and more. It shows Alaska in its entirety, including the entire 2,200 mile Aleutian Island chain that when mapping it in detail, cartographers almost always break it into sections for convenience. This map, however, portrays the entire State at the same scale on one wide sheet—offering an unparalleled perspective on Alaska's true size. Also found on the map is an inset map which displays Alaska's relative size to the conterminous U.S.The map is packaged in a two inch diamater clear plastic tube. The tube has a decorative label showing a thumbnail of the map with dimensions and other pertinent information. Map Scale = 1:3,660,000Sheet Size = 40.5" x 30.25"
The durable and convenient Alaska EasyToFold state map will take all the wear and tear your journey can dish out. The heavy-duty laminated design allows you to mark your route, make notes, then wipe the surface clean for further use. This is a must-have for navigation whether you're a state resident or just passing through. Easy to fold means no fumbling Heavy-duty lamination allows you to write on, wipe off Durable and tear resistant Folds to display individual map sections Full-color maps with enhanced cartography Clearly indicated highways, county boundaries, points of interest, and more Quick-reference legend and city indexProduct DetailsDimensions: 9" x 4.25" folded; 18" x 17" unfolded. One of the largest and most detailed maps available for the North Star State. 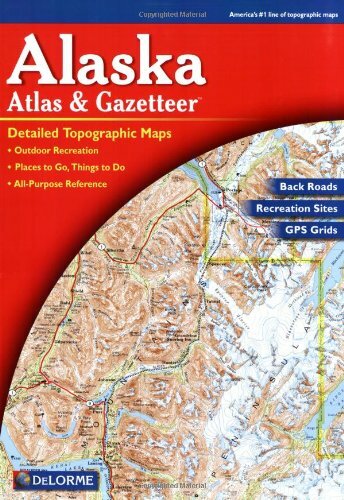 Rich shaded relief makes Alaska's incredibly diverse terrain easy to visualize and remarkably beautiful.The map includes hundreds of named places including primary and secondary towns, political boundaries, infrastructure, hydrography, national parks, state parks, wilderness areas, major peaks, military reservations, and more. It shows Alaska in its entirety, including the entire 2,200 mile Aleutian Island chain that when mapping it in detail, cartographers almost always break it into sections for convenience. This map, however, portrays the entire State at the same scale on one wide sheet—offering an unparalleled perspective on Alaska's true size. 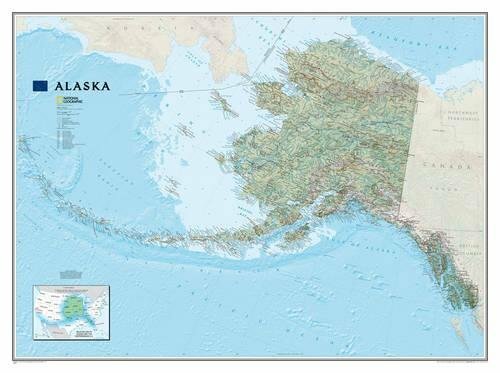 Also found on the map is an inset map which displays Alaska's relative size to the conterminous U.S.The map is encapsulated in heavy-duty 1.6 mil laminate which makes the paper much more durable and resistant to the swelling and shrinking caused by changes in humidity. 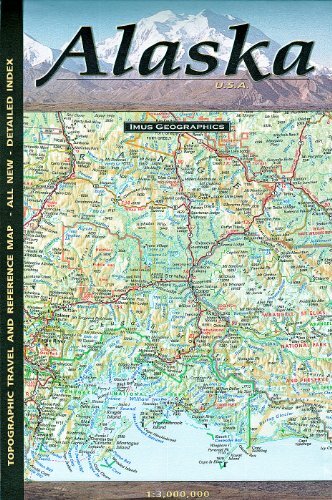 Laminated maps can be framed without the need for glass, so the fames can be much lighter and less expensive. Map Scale = 1:3,660,000Sheet Size = 40.5" x 30.25"
6.25 x 9 folded topographic travel/reference map in color.Scale 1:3,000,000.This reference/travel map 56.25 x 28.5 unfolded map, will not only guide you through Alaska, but also show how Alaska looks like.Distinguishes roads ranging from highways to other roads. Legend includes boundaries from National Parks, preserves, monuments, National Wildlife refuges, conservation areas, National Forests, military reservations, Indian reservations, state parks/forests, wilderness and boroughs. 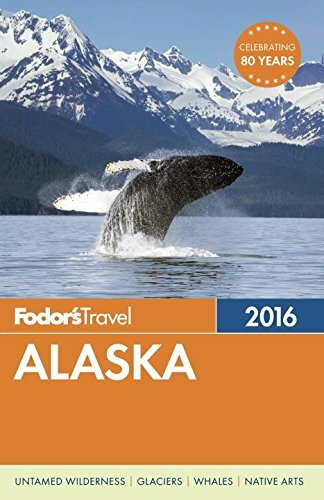 Also listed are ferry routes, railroads, Iditarod Trail, airports with scheduled jet service, public access airports, seaplane bases, state parks with camping, state parks - day use only, state marine parks, ski areas, visitor centers, state critical habitat areas, state game refuges, military airports. Map includes an extensive place index and mileage chart. 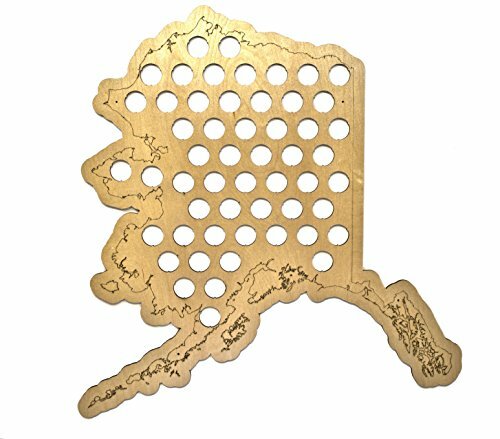 Compare prices on Map Alaska at ShoppinGent.com – use promo codes and coupons for best offers and deals. Start smart buying with ShoppinGent.com right now and choose your golden price on every purchase.